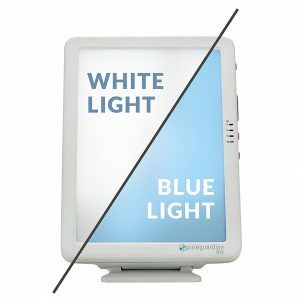 The NatureBright SunTouch Plus is a great value all-around therapy device. 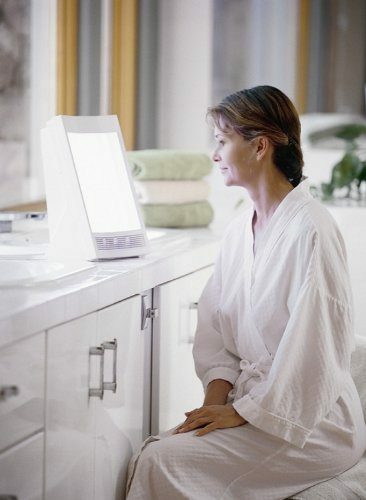 This unit includes a light-therapy lamp, negative ionizer, and optional aromatherapy attachment. Each individual component works well and is independently operated. However, there are some things that this lamp sacrifices because it has focused on adding these extras that have no benefit if you are just looking for a SAD lamp. 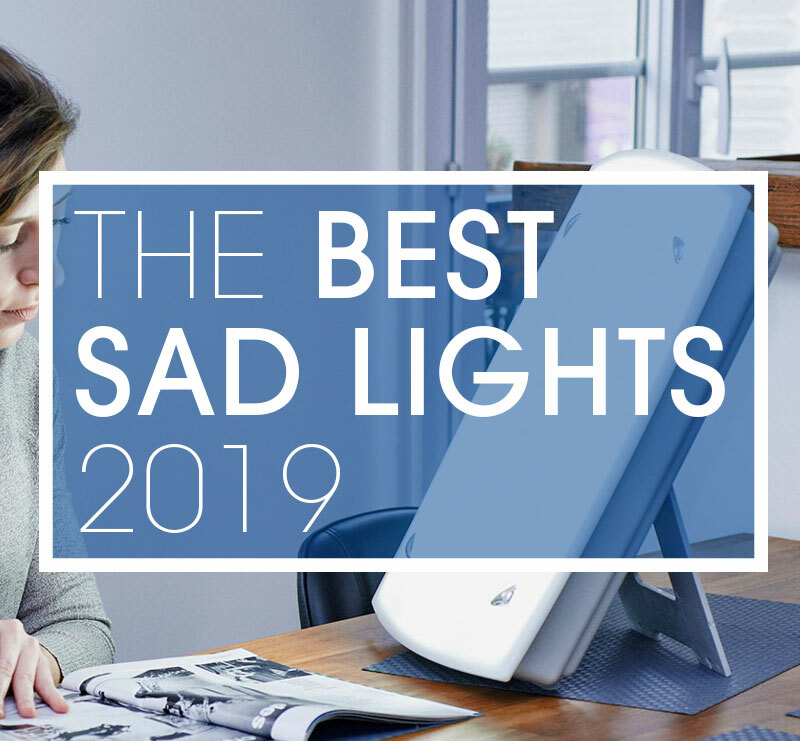 If you are looking for just a therapy lamp for Seasonal Affective Disorder, you are probably better off going with another lamp that has more features for that particular function. The SunTouch Plus stretches itself a bit thin trying to be three therapy devices. While each individual function works well, the ambitious nature of this device guarantees that it doesn’t shine in any one area. Founded in 2001, NatureBright aims to conquer Seasonal Affective Disorder and assist people through the tough times it presents. 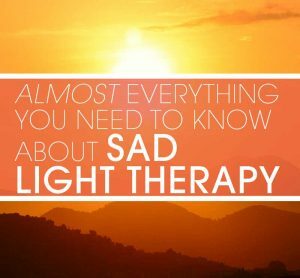 For 17 years they have specialized purely on light therapy devices. The lamp looks like a standard lightbox, and appears to be sturdy and well-made from high-quality plastic. The aesthetic could use some work, as it does just appear to be a therapy device and does not attempt to distinguish itself or provide any sort of modern style. It weighs 4.2 pounds and comes in at 6 x 9 x 13 inches in dimension. It’s a little larger than some other portable lamps, but this isn’t necessarily a bad thing. The lightface does not adjust or tilt. Ad you can see from the chart below it scores well in comparison to others. The only thing preventing it scoring top marks is its questionable aesthetic. The NatureBright SunTouch Plus can be used right out of the box. Simply plug the lamp into a wall socket and turn it on. Three buttons on the top of the unit control the lamp. The middle button powers the unit on. The button on the left sets the timer and the button on the right toggles the ionizer on and off. These controls are straightforward and easy to use. As I mentioned before it is made of strong, sturdy plastic and certainly feels solid enough. The unit is solid when standing and there is no danger of falling over if knocked. Because of the 4 fluorescent tubes inside we would not want to drop this unit as the risk of breaking them is increased. Should something happen to the bulbs they are also available at Amazon at $42 for all four bulbs. The unit includes a 1-year limited warranty in case it arrives faulty or fails due to a manufacturing error. which is about as basic a warranty as you can get. The NatureBright SunTouch Plus puts out 10,000 lux at about 12 inches. The manufacturer claims you can get 10k lux at between 20 and 30 inches, but that simply isn’t the case. The further from the light you get, the lower the lux becomes. 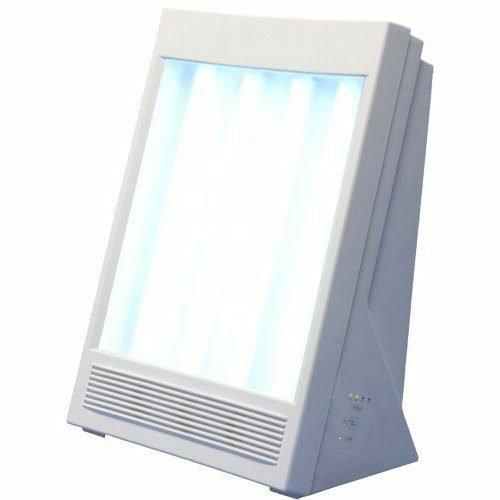 The light temperature is around 17,000 K, and consists of pure white light that is UV-free. The filter on the front of the device only makes the light appear blue, which is a bit confusing. Regardless, the light it emits is white, full-spectrum light. 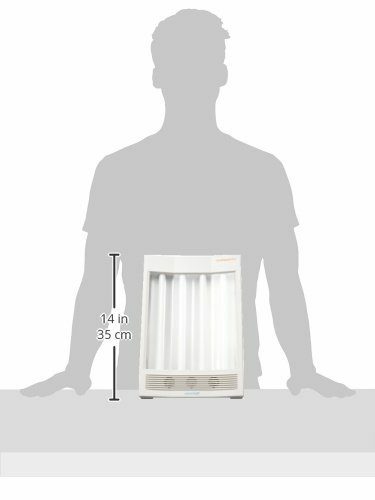 The light panel consists of 4 fluorescent tube bulbs that can be reordered through the customer service section of the website or via Amazon.. The Lack of LED lights loses this lamp some points and it has only just above average lux output which again limits its score. The most unique feature this lamp offers is a negative ionizer for ion therapy. There are vents at the bottom of the lamp which release negative ions into the air around the lamp, which should be effective at around 12 inches. Sitting at the recommended distance for the maximum lux will put you at optimal distance for the ion therapy as well. Negative ion therapy is meant to improve depressed moods in just a few days of use. The ionizer on this lamp is easily toggled on and off. You can choose not to use it, or use it even when the light is turned off. Additionally, the company sells an Aroma Therapy Capsule separately, which attaches to the front of the unit and works with the ionizer to diffuse a chosen fragrance. 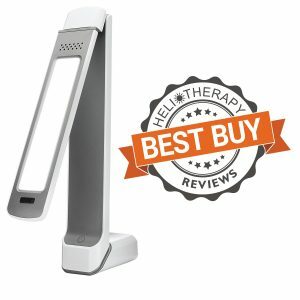 This three-in-one therapy device model is unique to this lamp. On the downside, the inclusion of all of these features makes the lamp only passable at each of them. The reason that this lamp scores so low for its features is that we do not add any points to the score for this lamp for non essential features for a SAD lamp. No other lamp includes them and they are not necessary for SAD treatment. The power source for this lamp is 120 volts only. It is compact and light enough to travel with in a car only. If your destination is outside of the US you will need to purchase an adaptor. The NatureBright SunTouch Plus has a timer built-in, and this timer can be set in 15-minute intervals up to an hour. There is only one brightness setting and no way to adjust it. A complaint we have is that there is no way to adjust the tilt or angle of the light face. It is completely stationary and there is no way to mount the unit on the wall. This lamp provides a decent experience for very little money. We think it offers excellent value for money although at some costs. Replacement bulbs are expensive (you would be better off buying a new unit!) and its lack of any sort of an adjustable stand is a big negative. We also think it is a little too large to sit on a work desk and would be best used on a larger surface such a kitchen island or similar. This limits it’s appeal. It’s uniqueness is in the Ionizer and additional aromatherapy modules. While we have described how they work in the features section we have not included these features as part of our overall score. If these are of interest to you as well as the SAD light then this lamp will probably serve you very well.